I came back to running two years ago, and took my first class with the Beaches Running Room store in January 2003, a 10k clinic. I took the same clinic for a second term, then followed that with the Half Marathon class in July 2003, and repeated that clinic in December 2003. 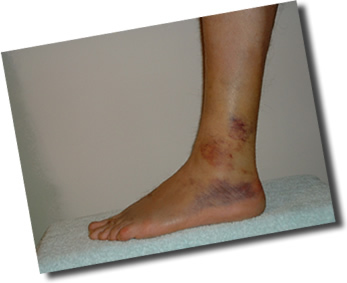 In January 2004, I was forced out of the running, so to speak, by a nasty fall in the middle of a 16k Sunday run. I wore a cast til the end of February. The recovery took well over six months. I was running by the end of March, but had no strength and no endurance to maintain distances. I retreated altogether in the summer of 2004, stopped running, joined a gym and began weight training and bicycling to work and back. Short runs and gradual distance increases built up again through the fall, and I rejoined a Half Marathon clinic, taught by the veterans Gerry Sheerin and Linda Delany. Easily the best clinic and the best team of coaches I've encountered. The Half Marathon clinic culminated in the 2005 Chilly Half, an annual Burlington, Ontario event, lots of fun, well-run, and a happy moment in the long road back. The 30k "Around The Bay Road Race" in Hamilton was an eye-opener. Fun, well-organized, and a really good, big group. Didn't feel real pain until about 23k, then I began to hobble, but finished upright and... almost... smiling. The Mississauga Half Marathon was a treat, a good, well-run big race. Still trying to break the two-hour mark, though. The Ottawa Marathon was wonderful. A lovely route, across the River and back, and up and down the Canal, tremendous crowd support, and good solid race organization all the way. My time was a disaster, but I had so much fun doing the race I'm actually looking forward to running another! January 23rd, 2004; It's BROKEN! 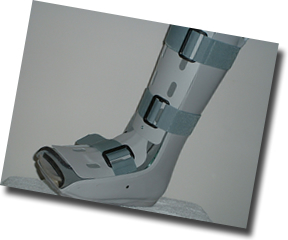 Then the cast, for five weeks. Bone chipped, but healing.